This is the process of deciding when an injured or ill player may safely return to practice or competition. The main goal is to return an injured player without putting the individual or others at undue risk of injury or illness. We pride ourselves in using a safe and sensible approach to this challenge. This process is criteria driven (not time driven). You must achieve certain levels of physical ability, ‘criteria‘, before you can progress through the stages. 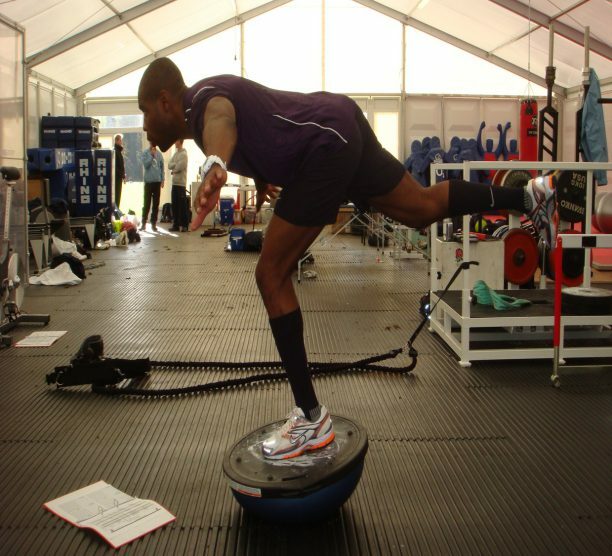 You will be treated according to the various phases of the injury process you are in. You may come to the clinic immediately post-injury and will begin in Phase 1. However, you may not present at the clinic due to problems some weeks after the injury or towards the end of a particularly trouble recovery where you may then pick up the rehabilitation process in Phase 3 or 4. Treatments are based on best practice and supported by evidence in the current literature. The rehabilitation is patient centred and reflects the demands of their position within the team and the demands of the game itself. Early rehab may include the pool – hydrotherapy, and definitely a bike for harder C.V. sessions. 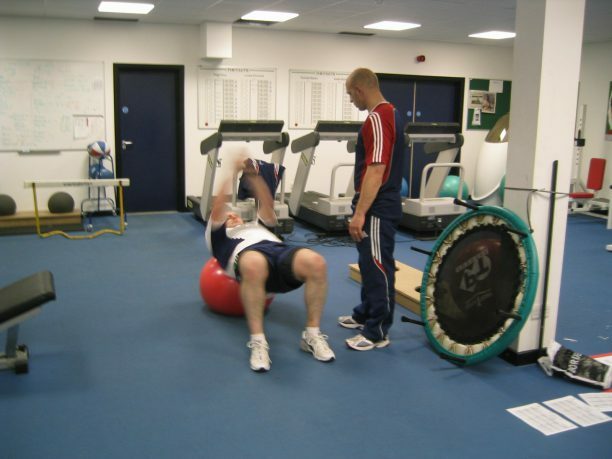 Before you are allowed to progress through each rehab phase you will have to be able to demonstrate satisfactory achievement of progressive criteria without reaction by testing with an established or equivalent functional test. These are set as per the individual and their needs. We will record your progress to give you confidence in your performance. 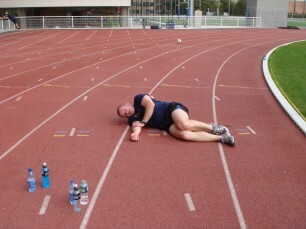 You will then be set “fatiguing test” that is performed before returning to full training to satisfy both you and your therapist – and probably even your coach – that a certain level of fitness has been achieved compared to a pre-injury level. The end Phase Fatigue test can be quite a challenge. When you pass through Phase 4 with flying colours your therapist will encourage you to enter Phase 5 of the Rehab process – this is of Maintenance or Injury Prevention. This will include weekly exercises to prevent the injury recurring at a later date – and really frustrating you – your coach – and your Physio!